As part of my yoga teacher training, I’ve been studying the yoga sutras from the book The Path of The Yoga Sutras by Nicolai Bachman and Light on the Yoga Sutras of Patanjali by B.K.S. Iyengar. The first chapter of Bachman’s book, is on Atha, Readiness and Commitment, which is translated as an indication of auspicious beginning. Beginnings are often exciting and scary. It takes readiness and commitment to get through the various feelings of beginning a new journey. Bachman discusses how it is important to have an open heart-mind to allow the information to flow in without learned barriers getting in our way. 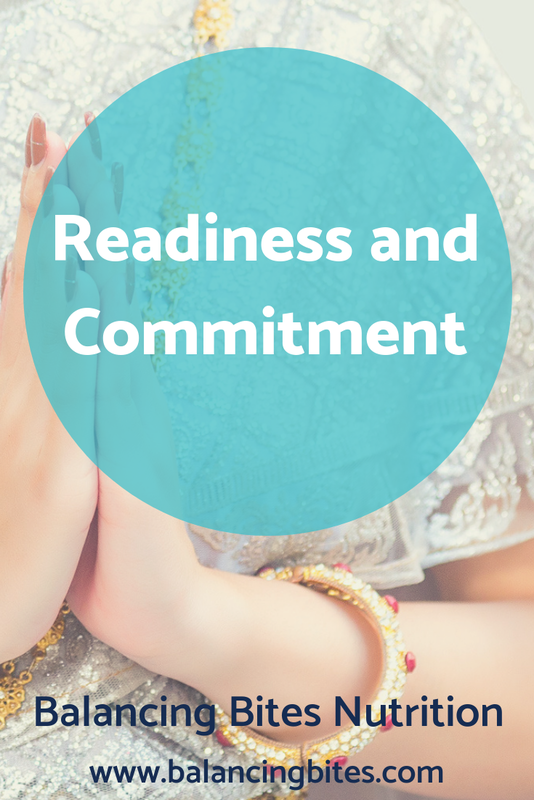 He also discusses how commitment provides stability and structure allowing us to return and maintain a consistent yoga practice. This chapter reminded me of the readiness and commitment one must take when embarking on a journey to improve their health. Instead of seeking instant gratification, we must take the time to truly understand what it is we are seeking then learn what works for our bodies and lifestyle. I believe this is where most people give up and lose steam. Whether you’re trying to lose weight, gain muscle, start a yoga practice, improve your current performance or whatever your goals are, the following steps will get you there as long as you have patience. During self-reflection, ask yourself questions until you get to the heart of what you desire. What is it you truly want? I’ll use the example of want to lose 10 pounds. Why? What will life be like without those 10 pounds? It might not be the loss of 10 pounds that will make you happy, but feeling comfortable in your body will. Write down all of the reasons why want to accomplish your goal. This one might take time, but remember this isn’t a sprint. What will fit your lifestyle? Perhaps you don’t have time to workout for an hour, five days a week, but you have time to fit in 30 minutes. What can you get done in 30 minutes that will give you the biggest bang for your time? Write down a few actions that will fit your lifestyle and help you reach your goal. Then take action. If they work great. If not, try something else. Now that you’ve taken the time to figure out what fits your lifestyle and is enjoyable, it’s time to commit. Commitment requires you to be consistent, which over time will result in progress. This is where you find the time to do what must be done to reach your goals. 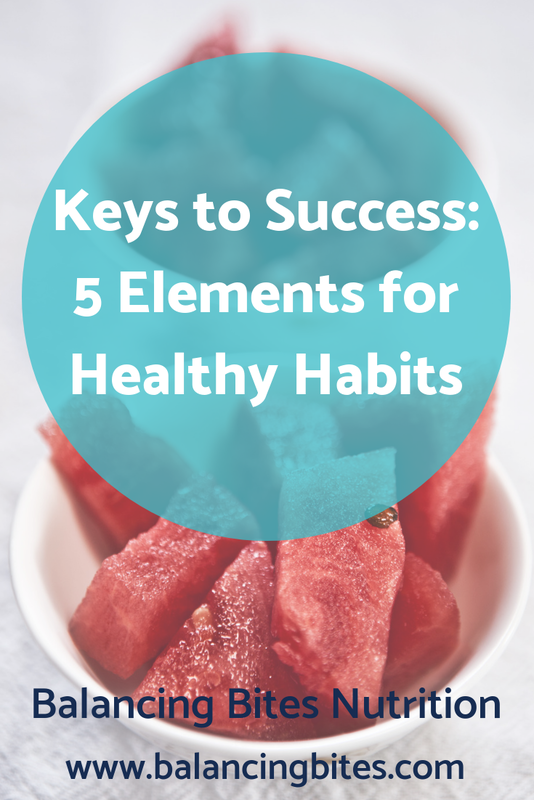 Learning, integrating, and repeating positive habits to improve your health over time requires readiness, commitment, and patience. In time you will reach your goal. Then you can set new goals as you continue on your journey. Seasonal Affective Disorder (SAD) is no joke. I never really noticed I get the blahs until I moved to Pennsylvania. I’ve always lived in warm sunny states. During the fall, winter, and spring months, I feel blah and uninterested in most activities. Our first year living in PA, I distinctly remember shoveling snow in late April, telling my husband it is not supposed to snow in the spring. I remember asking him why anyone would choose to live in a state where you had to shovel in April. I’m pretty sure I was ranting because we obviously chose to live in a state where I had to shovel in April. I remember being frustrated that I had to wear my winter coat at the end of May. Now that I’ve lived here for four years, I know what to expect and those things don’t bother me as much. Unfortunately, I still get the symptoms every year. 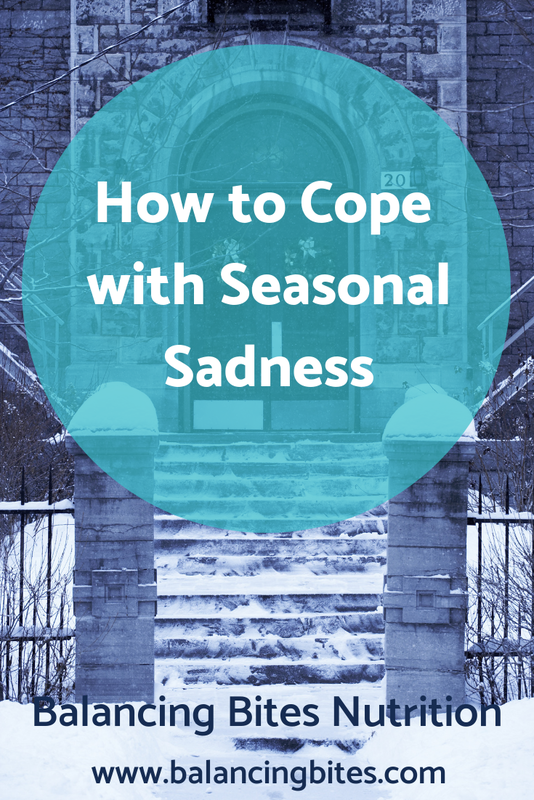 SAD is a type of depression that occurs when the season changes. It usually affects people in either the fall/winter months or spring/summer months. It can be confusing to understand the difference between feeling blah and straight up depression. It’s best to seek help when you feel you need help and if any of your symptoms have been lasting for long periods of time and/or interrupt your normal activities and routines. Also, seek help if you are using drugs or alcohol to cope or you have thoughts of death or suicide. There are many ways to treat minor symptoms of SAD. Do you have any tips on how to deal with SAD? It’s hard to believe my second yoga teacher training weekend was three weeks ago. The training weekends are super busy and go by so fast. For the past three weeks, my entire family has been sick. I’ve haven’t been able to keep up with my studio practice and have had to settle with home practices. The great thing about yoga is that you can practice it anywhere. Friday night started as usual with an hour long vinyasa flow. The teacher was upbeat, fun, and positive and the class was packed! After class, we took a short break and gave the teacher feedback on her class. The owner of the program is huge into feedback. For every class we attend we are required to give feedback on what to keep, what to stop, and what to start. At first this was difficult, but it has gotten easier over time. When we practice teach, we also receive feedback, which I love. After yoga, we discussed our reading assignment. We also discussed what yoga means to us and how this will help us off the mat and as a yoga teacher. We ended the night with a short meditation. Saturday morning started with an hour vinyasa flow then feedback. We discussed moments over the past few weeks when we noticed any type of negative feelings or actions and what we did or could have done to shift it into positive feelings or productive actions. We reviewed the spine and the four types of movement. We discussed assisting, why we assist, when to assist, and when not to assist. After lunch, we discussed avidya, or an incorrect comprehension. Avidya is the filmy layer that coats our clarity. It is the story or stories that we tell ourselves. They’re the limiting beliefs we have about ourselves and our environment. We got into small groups to brainstorm an opening sequence. My group wasn’t able to finish our brainstorming session when it was time to practice teach it to the entire class. My teammates were too shy to teach it, so I did it. Guys, I was nervous! I walked around the room and assisted while teaching. I was so excited I did it, and I wasn’t terrible. We ended Saturday with a yoga nidra, yogic sleep, meditation. This is a deep relaxing mediation. It was the best meditation. I highly recommend you YouTube it. Sunday morning started with a discussion on meditation. Then we talked about using mantras in our meditation practice. We meditated then began an hour and a half yoga session followed by feedback. We took a small break then observed a yoga class and gave our feedback. After lunch we attended an Ayurveda workshop. Ayurveda is a 5,000-year-old holistic healing system that focuses on mind and body connection. The workshop was interesting. This weekend is my third yoga teacher training. We’re going to discuss our reading assignments, anatomy, pose breakdown, practice teaching, philosophy/self-study, and we have a chakra and reiki workshop. It should be a fun weekend.